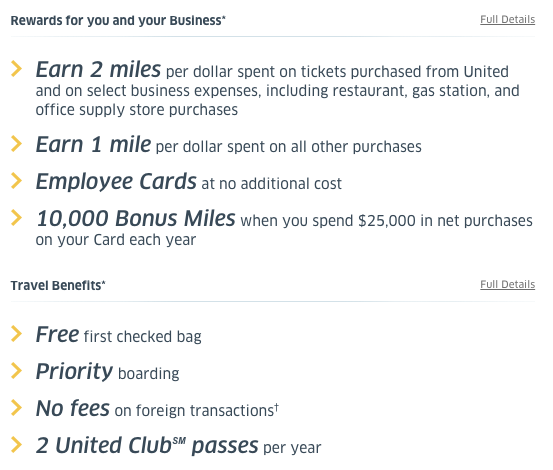 The Chase United MileagePlus Explorer Business Card just increased its sign-up bonus offer to 50,000 United miles after spending $2,000 within the first three months. This is marketed as a limited-time offer, but there are no details I’m aware of that say how long it will last. It’s still a good opportunity if you have been considering to apply for a United credit card, but a similar 50,000 offer has been released in the past. This business card could be a great way to accrue United miles to take advantage of United Airline’s generous free stopovers allowed on award tickets. Remember that you won’t qualify for a Chase sign-up bonus if you have had the same Chase card product within the last 24 months. I closed my Explorer (personal) card couple months ago. If I apply the business version of Explorer card, do I earn the sign-up bonus too? so the United Club Card would be different then the Explorer card correct? KEN, yes the United Club Card will be a different product that Explorer. You can earn the bonus on each, and the Explorer card has both a personal and business version as well.